Latin America is one of the most vibrant and exciting regions to access new or existing clients. With a population of over 600 million, and a regional internet penetration rate of 60%; Latin America is ripe with growth opportunities. It its 15th year, Capacity LATAM 2018 proved it continues to be Latin America’s largest wholesale telecoms meeting enabling digital transformation across the region. 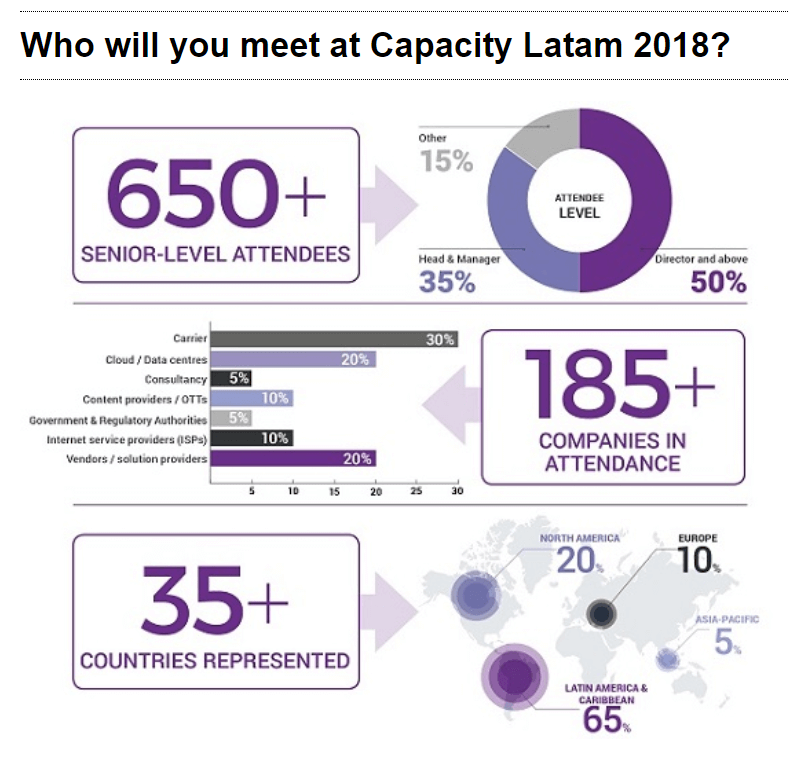 Providing a unique forum for the key decision makers active in the Latin American wholesale community, Capacity LATAM 2018 definitely is a key event within the region and is a unique platform to access new or existing clients, develop and commercialize new solutions, find new suppliers and conduct successful business partnerships. With more emphasis being placed on the continued expansion of the digital economy, countries like Argentina, Brazil, Colombia and Mexico are focused on bolstering their telecommunications infrastructure and enabling high-speed connectivity. The Inter-American Development Bank (IDB) asserts that a 10% increment of broadband penetration will have an impact on GDP growth of over 3%. As a result, this interplay will undoubtedly boost the wholesale telecoms market across the region. 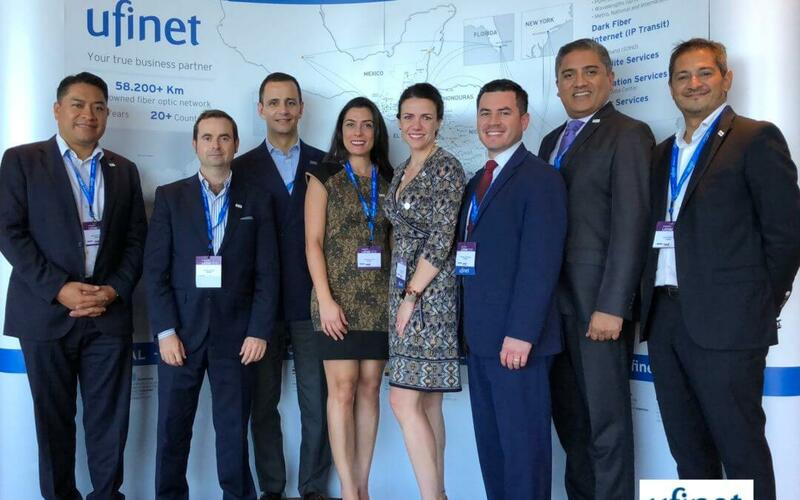 In this context, Capacity LATAM 2018 will continue to be the perfect platform to meet and connect with key decision makers focusing on Latin America’s wholesale telecoms market.